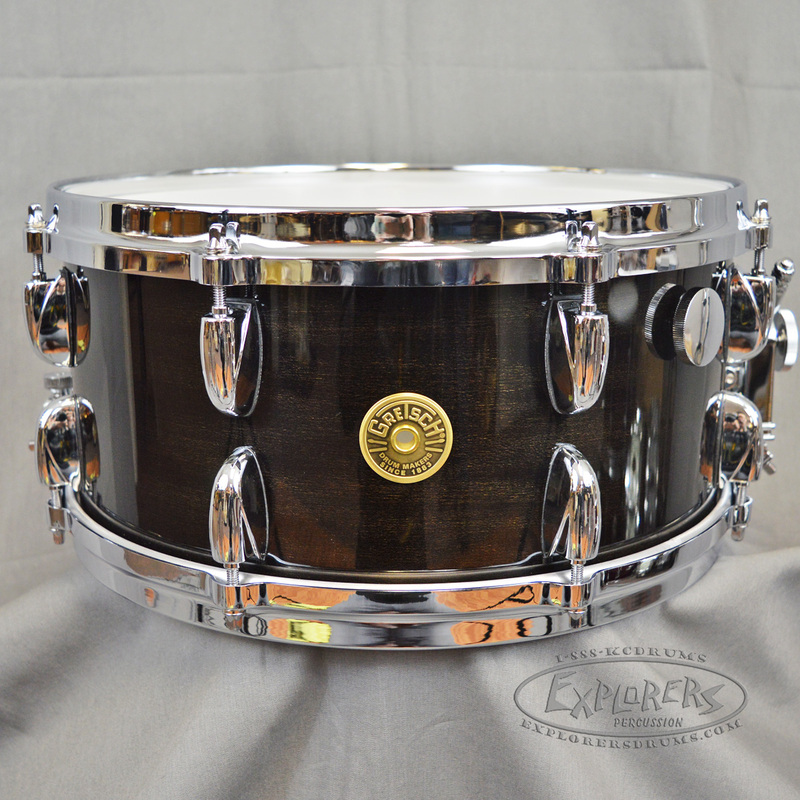 The 6.5x14 USA Ebony Mahogany snare drum displays pure class and elegance while staying true to the heritage and history of That Great Gretsch Sound. 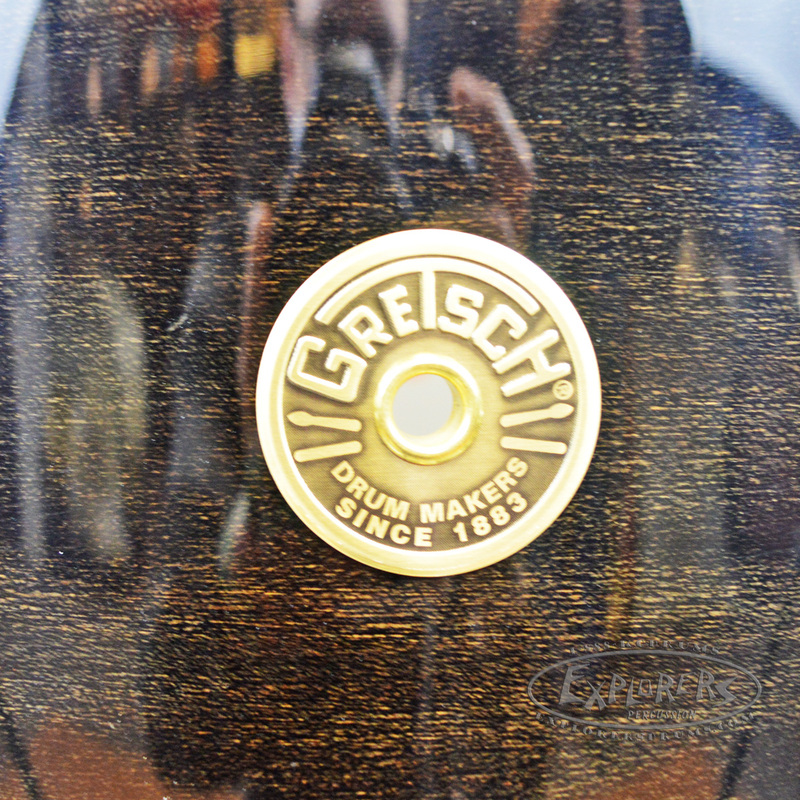 Its 16 lug pattern tastefully highlight the beauty and richness to the Ribbon Mahogany appearance and Gretsch’s distinguishable features such as the Micro-Sensitive Throw-off, tone control, and Snap in key holder add a timeless finishing touch to this beautiful drum. 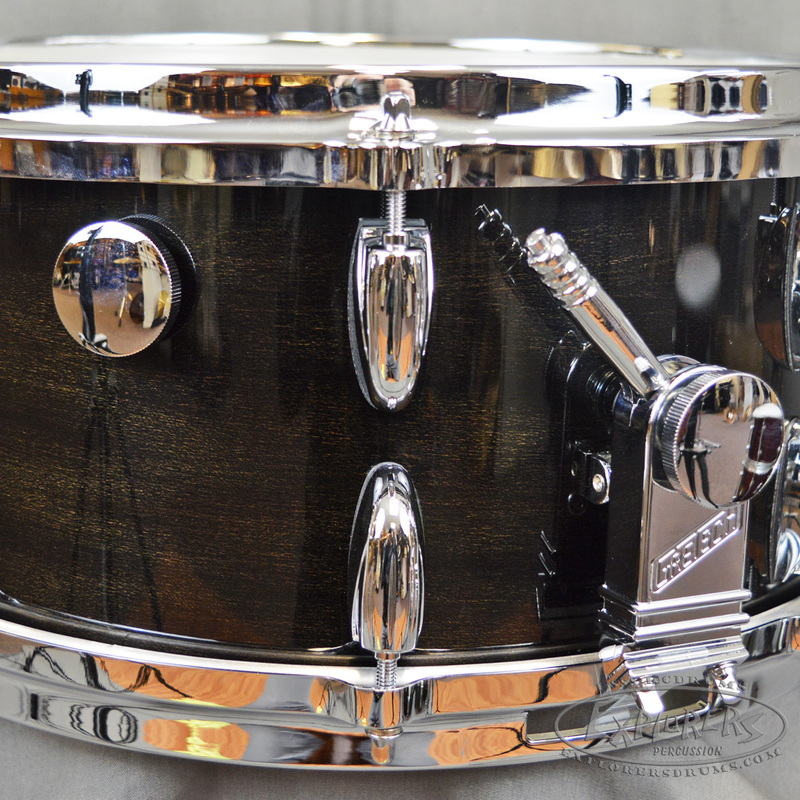 Sonically, the drum has a wide dynamic range with a combination of very low to cutting highs depending on your tuning preference. 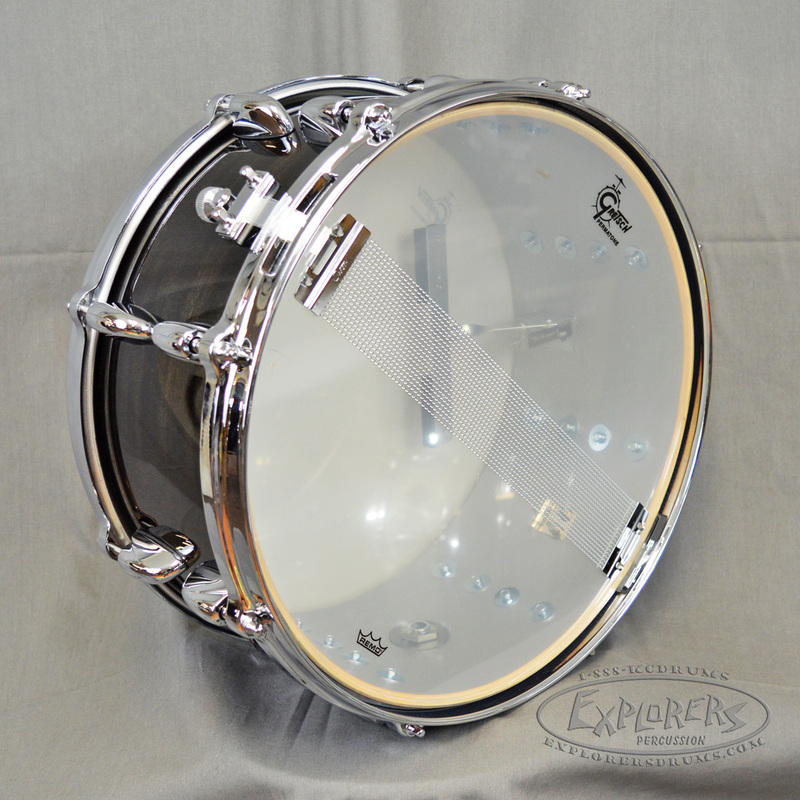 Fairly dry and ultra-sensitive, this drum is very user-friendly for Jazz, Classical, Orchestral, or studio use. 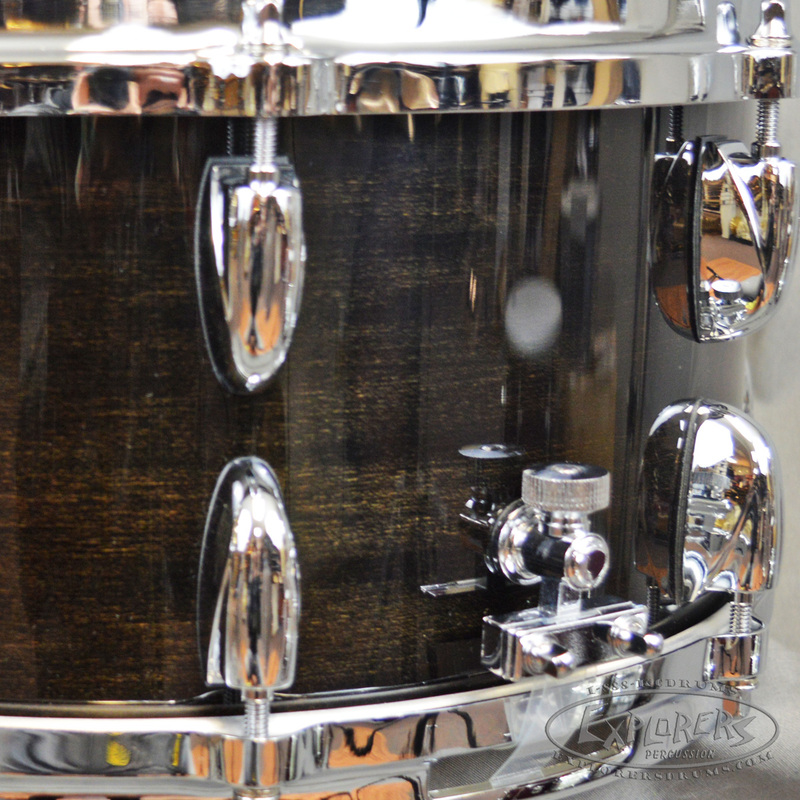 However, if you prefer to lay down a solid groove, this drum will easily compliment so many different musical styles.